WASHINGTON — Bigelow Aerospace has established a space operations subsidiary whose first task will be to study the market for the company’s commercial space stations as it grapples with competition from China and NASA. 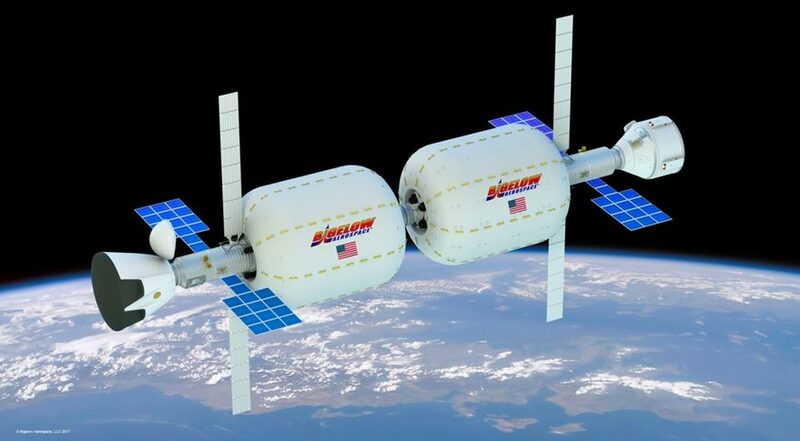 Bigelow Space Operations, formally announced by Bigelow Aerospace founder Robert Bigelow Feb. 20, will handles the sales, customer service and ultimately the operations of the commercial space stations that Bigelow Aerospace will manufacture. The first task for the new company, Bigelow said in a conference call with reporters, is to perform a detailed market study for the company’s B330 expandable modules, and future larger variants, to determine what demand exists and whether it’s worthwhile to proceed with the launch of the first two B330 modules in the early 2020s. “We intend to spend millions of dollars this year in drilling down, hopefully, to a conclusion one way or the other as to what the global market is going to look like,” he said. That work will be finished by the end of this year, at which time he said the company would offer some qualitative public assessment on the size of the market. Bigelow said that interest has picked up in recent years, including from some of those original relationships with other nations. However, he expressed concern about potential competition not from other companies also planning commercial space stations, but instead the space programs of China and the United States. A bigger concern for him, though, was NASA’s plans for exploration beyond Earth orbit, which seeks to attract the same set of ISS partner nations as it ends direct funding of the ISS in the mid-2020s. Bigelow called upon the Trump administration to step in and find a solution to the problem, although he did not advocate for any specific approach. “I get an uneasy feeling that there is not a plan, there is not something in place, to actually embrace all of the partners” for commercial LEO operations, he said. He said later he has not had any discussions yet with White House officials on this topic, and that the company didn’t plan to attend the Feb. 21 meeting of the National Space Council. “We really are available to discuss this topic with the administration and expose the problem that we see exists not only from a commercial standpoint, but a political standpoint,” he said. Despite the market uncertainty, Bigelow Aerospace is proceeding with the construction of its first two B330 modules. He said the modules are on schedule to be ready for launch by the end of 2021, with four more modules “in the queue.” The company is also working with other companies to arrange the launch of those modules and transportation of crew and cargo to them, with a minimum of eight flights per year. “Money has changed hands between our company and other companies,” he said, including a “seven-figure study” with one company regarding launch of the modules and placing reservations for crew and cargo missions. He didn’t identify the companies he was working with, but Bigelow announced a partnership with United Launch Alliance in April 2016 that would lead to launching the B330 on the largest version of ULA’s Atlas 5. To carry out that market study and other work, Bigelow Space Operations plans to grow to three or four dozen employees by the end of the year. A few key people have been hired since January, including a chief operating officer and vice president of global sales. The company could ultimately grow to 400 to 500 employees once B330 modules are launched and operating, Bigelow said. Bigelow Space Operations also announced a partnership with the Center for the Advancement of Science in Space (CASIS), the non-profit organization that manages the portion of the ISS designated as a national laboratory. That partnership, which will initially involve payload integration services for the ISS, could expand to giving a CASIS a role for managing research on future B330 modules. Bigelow Space Operations’ work could expand beyond low Earth orbit as well. Bigelow Aerospace and ULA released plans in October 2017 for a “lunar depot” using a B330 module launched into lunar orbit on ULA’s Vulcan rocket and next-generation Advanced Cryogenic Evolved Stage upper stage. That depot could be served by versions SpaceX’s Crew Dragon vehicle.